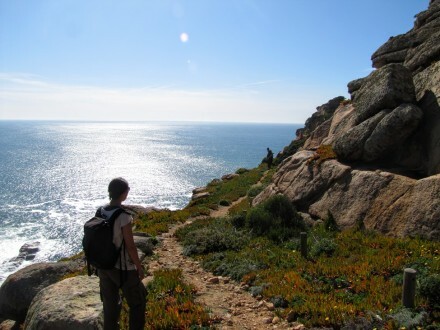 In this Walk Hike vacation packs, we share “off the beaten track” hiking in the Sintra-Cascais Natural Park with you, mixed with wine tasting experiences and regional delicacies at local wineries, cellars, and restaurants. Sustainable Tourism is our habitat, and our goal is to make you aware of one of the most beautiful and enigmatic landscapes in our country, the Sintra sierra, otherwise known as the Moon Hill, its unique forest, biodiversity, and huge promontories bathed by the majestic Atlantic Ocean. Sintra, untouched since the XIX century and World Heritage by Unesco since 1992, is a cultural treasure that we would like to help you discover. We also make a point to include you in local communities, introduce you to our people so that you may experience our food, listen to our stories and share our secrets. 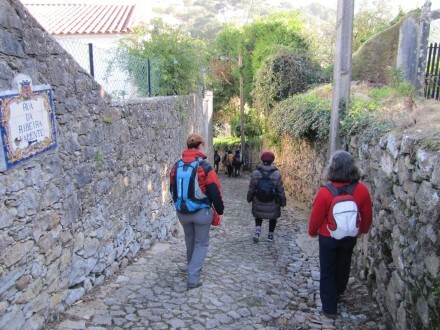 We try hard to our walks always contemplate the mix between Natural Park – Communities – Cultural Park. Thus, we provide enriching experiences for our clients to feel closer and more integrated.